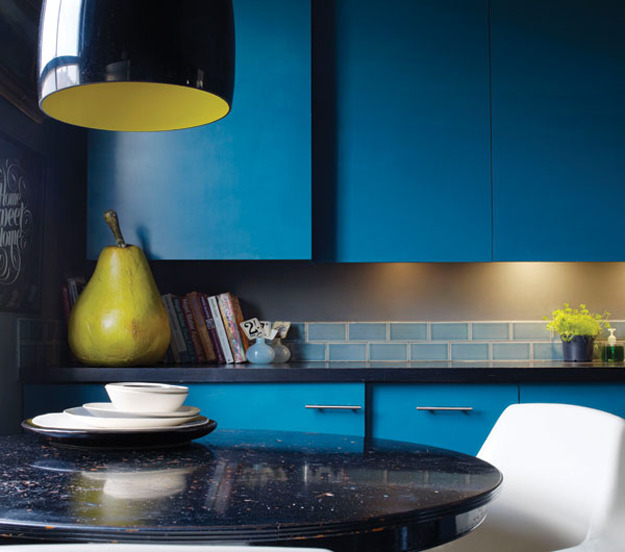 Leave a Comment on 5 Colourful Kitchens to Inspire you! 5 Creative Colourful Kitchen to Inspire your Next Renovation! Never be afraid of introducing a bit of colour in your kitchen! Whether you select colourful accessories, funky appliances, colourful custom cabinetry or a wild splashback, find your own unique colour style to create a kitchen that truly reflects your personality! We’ve put together some colourful examples of exciting kitchens and discussed the different ways colour has been used in each for full impact. Join us in a world of colour! Our Pinterest Colourboard is a creative hub of colourful goodness – Follow us & Comment on any Pin in our board for an add!